If you are in the mood for an easy pizza recipe or if you aren’t good at making pizza dough than this is the pizza for you. 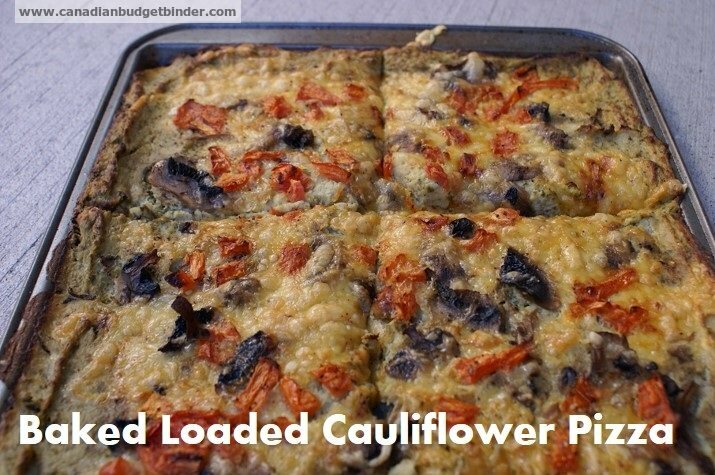 I know you are thinking cauliflower pizza sounds disgusting but trust me it’s far from what you think.The best part is that you don’t need any flour and it’s not going to cost you lots of money to make this frugal pizza in a flash. 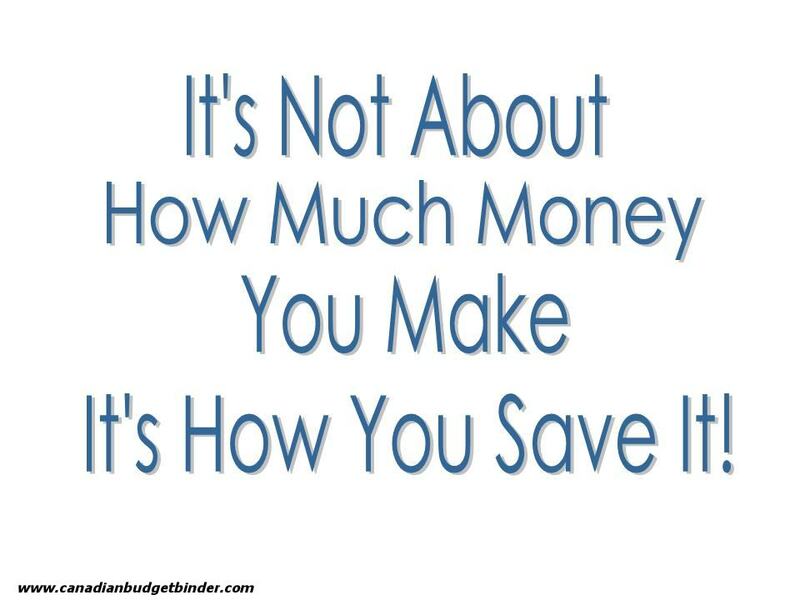 When I am on Facebook, particularly my Canadian Budget Binder and The Free Recipe Depot pages I see recipes in my news feed all the time and many of my fans like and share recipes as well. The other day one of my fans and I can’t remember who mentioned or liked this cauliflower pizza recipe and I knew I just had to make it. I thought it was a brilliant idea since we had a great big bowl of cauliflower mash in the refrigerator that my wife and I made the previous day instead of mashed potatoes. Her sister came around with a head of cauliflower that they weren’t going to use up on time and asked if we wanted it since she knows how much we love our vegetables and we gladly took it. I guess cauliflower mash is the new rage in the fitness scene so you can eliminate the starchy potato and replace with mashed vegetables that actually taste like mashed potatoes. You don’t feel you are missing a thing. I was a skeptic at first but I am now a changed man. My wife was the one who mentioned the cauliflower mash because she had noticed that more people who are into fitness or watching their food intake are switching to sweet potatoes, cauliflower mash, sautéed kale and collard greens etc. Coming from a family in the UK who used potatoes all the time it was a welcoming change but it was nice to know that I can substitute cauliflower for potatoes and not really notice a difference. What I did notice was the cauliflower mash is just a bit more wet over the traditional mashed potatoes. For this reason I put the cauliflower back in the pot with no water and let it boil off any excess water on the florets after draining them so they are fork tender but not holding any more water than they need to before I mashed them in the food processor. I tried to mash them with my hand masher but it just wasn’t working out the way I wanted it too. I wanted a smooth mashed cauliflower. The pizza crust needed to pop with flavour in this recipe because of how bland cauliflower can be so I aimed to create a basil cauliflower pizza crust to give it some pizzazz so we aren’t always eating the same things. I added some garlic, salt and my homemade basil pesto to the food processor and I only did that to make the crust of this cauliflower pizza taste like it was loaded with flavour. Like mashed potatoes cauliflower mash needs lots of flavour so adding in the herbs really made a huge impact on the overall taste of this recipe. I wasn’t sure from the recipe when I first noticed it whether they crust was hard enough to actually eat this like a slice of pizza. When I took my pan of baked cauliflower pizza from the oven parts of it were crispy but not enough that I could hold a slice in my hand and brag to you how cool it was to eat pizza made of cauliflower. The bottom of the slices were browned but not crispy enough although I had no problem removing slices from the pan as you can see in the photo. What I will suggest and what I will try for next time if you want a crispy cauliflower pizza crust is to put the mashed cauliflower in a cheese cloth and just wring out the water or let it sit over night covered so the water is removed and you are left with a dry cauliflower mixture. This is the only reason I can think of why this did not give me a hand-held crust. Once you add in your pesto you can roll it into a ball then onto your heated baking stone or baking tray as if it were a pizza dough. I don’t remember who or where the recipe came from but I did it off the top of my head as I did not save the recipe. I figured I’d remember it which is not a way that I would suggest you to learn and cook. You need to get the full recipe because it’s a recipe that someone has tested and are hoping you try. If you are out there and invented this, hats off to you as it was delicious. I cooked the cauliflower pizza just until it was browned on the top and as crispy as I could get it without burning it. The texture of the pizza was crispy around the top and outside but soft in the middle. Biting into the cauliflower pizza almost reminded me of a creamy ricotta cheese with basil pesto blended in. In a way it is almost like a thin cauliflower lasagna or a cauliflower cottage pie although I could have sworn in the photo of the original recipe it looked as if they were eating this pizza by hand. I don’t know how they were able to do that but like I mentioned above you would have to make certain you remove as much liquid from the cauliflower as possible. I love it the way that it turned our for me and I hope you do as well. I think you will know what I am talking about once you try this recipe for yourself. Once the pizza was done I let it rest for about 10 minutes before I sliced it up into large square slices. I made a nice fennel, carrot, onion, cucumber, radish and feta salad for on the side with a lime, ginger, garlic, sesame dressing that I made and am addicted to when it comes to eating a salad. In a large pot of salted boiling water add the cauliflower florets that you chop and clean. Add the mashed cauliflower to a cheese cloth and wring out all of the excess water or leave over night with something heavy over top to drain the water from the cheesecloth. On a baking sheet spray with cooking spray then add a ½ inch thick layer of the cauliflower mixture. You can even make it thicker if you like, it's up to you. There you have my weekly masterpiece and although it’s not a traditional homemade pizza like what I would normally make it’s certainly an alternative to make for change in your meal plan. Sometimes eating the same things all the time gets boring so if you want to switch things up don’t be afraid because you may never know what you will come up with. Who knew you could make a Baked Loaded Cauliflower Pizza? I certainly would never have guessed it. What foods have you used against the norm to create an amazing recipe? There must be some mistake in step 5. Add the mashed potato to a cheese cloth – did you mean mashed cauliflower? No potatoes are mentioned in ingredients. Thank you very much for sharing this and for sharing the recipe. I would really love to try this. Will definitely share this recipe to my mom. Thanks Abby.. let me know what you think. I am not a fan of hot cauliflower, I like it raw with a dip but generally never know what to do with the rest of the thing when I have had it once or twice so it gets bad in the fridge. That recipe looks like the perfect solution. Bookmarked for when I get back home! 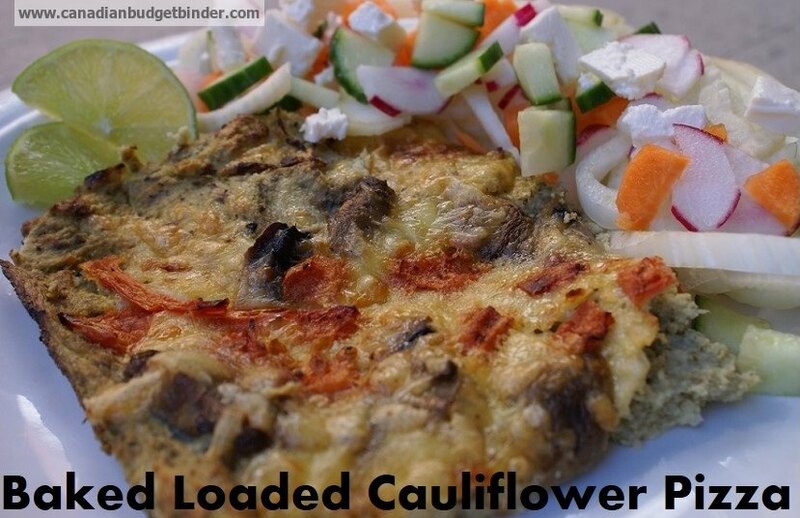 If you like mashed potatoes you will like mashed cauliflower…. Baking is not as easy as it seems but with practice and for me lots of fails I’ve learned the basics. It helps to get you through to the next creation and you build up your confidence. Cheers Clarrise. It does look good!!! I’d be using different toppings with things like pineapple, ham, green pepper, bacon, and such as hawaiian pizza is a favourite here. The older boy can be iffy about some textures, but the one most likely to turn up his nose would be the hubby as he just doesn’t care for veggies. I cook them but he passes on them all the time. Fussfart. Should share this with our daughter and my sisters-in-law…….. Our daughter has eaten vegetarian in the past but will now eat chicken sometimes. The sisters-in-law are usually watching their diets and weight so they might go for this more than hubby would. Yes you could use whatever toppings you want to be honest and it would be great. My wife loved this recipe. I am definitely going to make this after we get back from Scottsdale! Mmmm! It turned out pretty good but like I mentioned if you want a crispy crust I’d wring out the cauliflower real good.